President Trump kicked off the day in South Korea, attempting to make a surprise visit to the DMZ overlooking North Korea, which was turned back due to weather. He then gave a speech to South Korea's National Assembly before departing for Beijing. 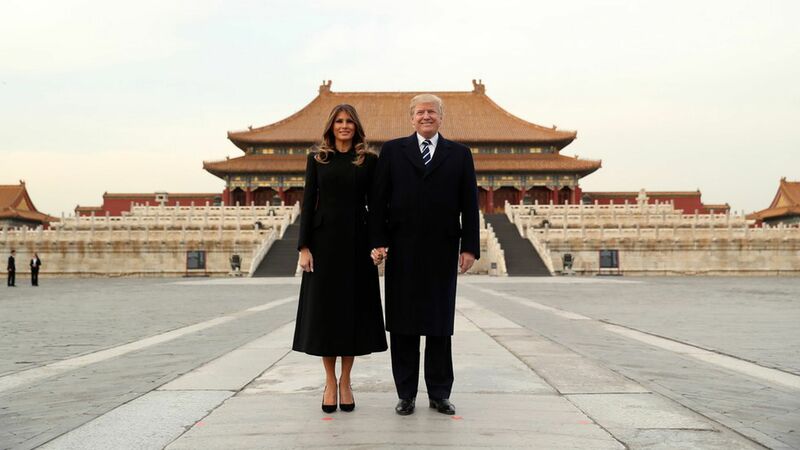 On the ground in China — the third country of his five-country trip — Trump met Chinese President Xi Jinping at the Forbidden City, where they took in a traditional Chinese opera before dinner. Go deeper on Trump's trip: Yesterday in South Korea... His time in Japan... The full itinerary for Trump's trip.